Legalised quotas for women are not discriminatory, but they rather compensate for existing discrimination. Ensuring the presence of women on boards adds new perspectives to board discussions, and further paves the way for increasing female leadership across all levels. In Norway, the imposition of such a quota initially met with resistance and a fear of loss of economic competitiveness. But the fears were proved false. The World Competitiveness Yearbook 2010 showed the country doing better with the quotas in place. Though some companies in India have created an environment for the proper growth of women, a large section of industry dominated by conservatives shies away from empowering them unless there is legal enforcement. A research report, women.gov.on.ca, shows that Fortune 500 companies with a greater presence of women on their boards score well on financial performance. Companies with both women and men on their boards tend to have good employee relations, ethical product sourcing, strong environmental and human rights records and support for local communities. Legalised quotas would engage the board and executives to find suitable woman candidates. They would compel organisations to come up with training programmes for women so they can do justice to their positions. Reservations promote mediocrity and undeserved benefits. To counter the prevailing gender bias, corporations need to make work policies more comfortable for women. 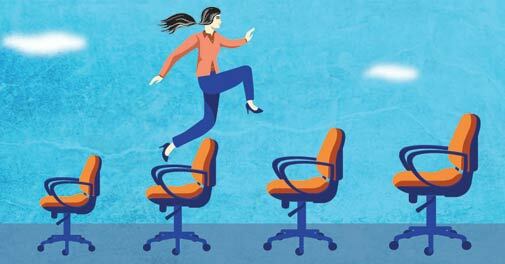 Women constituted just 6.81 per cent of the total number of board positions in 2013 in India and this needs to change. But a quota has far-reaching consequences, and could impede women's growth as responsible citizens. On one hand, it would reduce women's interest in investing in themselves as they would believe their path towards advancement has been made easier. It would also worsen attitudes and allocations of work to women, which may in turn lead to stereotyping of women as less qualified and competent. According to a paper for the World Development Report on Gender, by Rohini Pande and Deanna Ford, "a greater number of career interruptions and a lower number of working hours result in women having less experience". This shows that merely reserving board seats for women will not beat the gender bias. Providing a common ground for women to compete is the way to beat the gender bias. Introducing day-care centres in the office, and policies such as 'bring your child to work', 'work from home' and 'flexible work timings' for women will give them a chance to manage their personal and professional lives effectively.